As a final day of the month special, I'm offering 25% off of any of the items used in this card for today only! If you purchase online using hostess code NWMUXEXQ I'll etransfer you back your discount. If you email me your order I'll take it off right at the time of purchase:) Remember, if you purchase $60 worth of merchandise you'll earn yourself a free SAB and I'll still take 25% off of the items from this card! 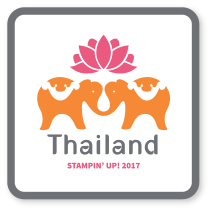 I know I've shared this stamp set and framelits a ton, but seriously.... so cute! So easy and that darn leaf edgelit is AWESOME! 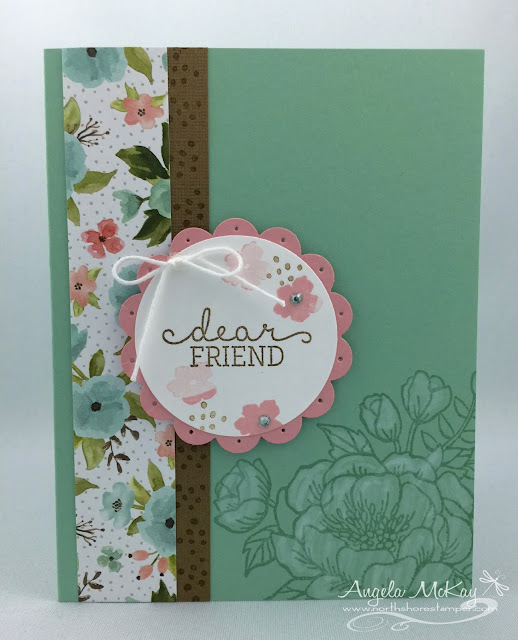 Remember, when you purchase this bundle you get the stamp set, the designer series paper and the framelits! Major deal and you get to top it off with a Sale-abration freebie too! I can't express how much I LOVE this bundle! 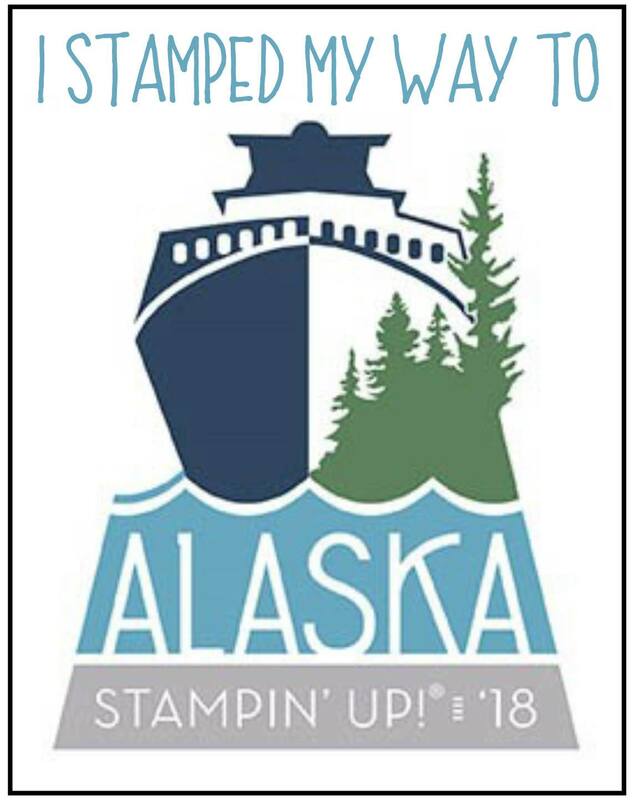 By far one of the best Stampin' Up has created! 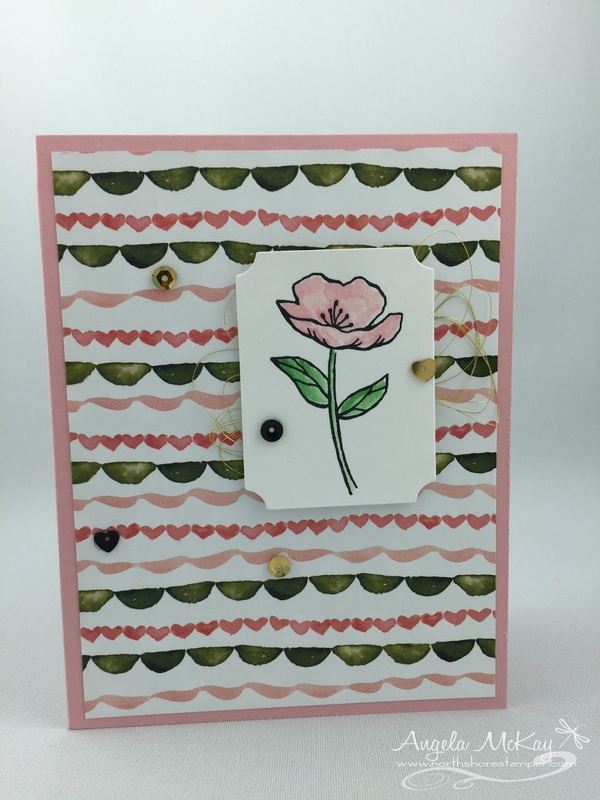 This was one of the cards that we did at the recent spring that I held with my amazing friend Alison! The Number of Years bundle which includes the stamp set and framelits is $60.25 which means you also earn a free sale-abration item! 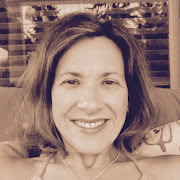 How much do you love this gorgeous picture inspiration????? The red and black together are so striking! 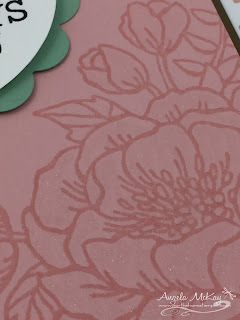 Make sure to head over to Stampin' Royalty this week! Check out the creations by the other design team members and then share your creation with us! We'd love for you to play! Are you aware than when you purchase the gorgeous Botanical Blooms Stamp set as part of the bundle, you'll get the Botanical Builders Thinlits as well as the Botanical Garden DSP! In addition you'd earn yourself a FREE sale-abration item!!!! I love the deals at this time of year! 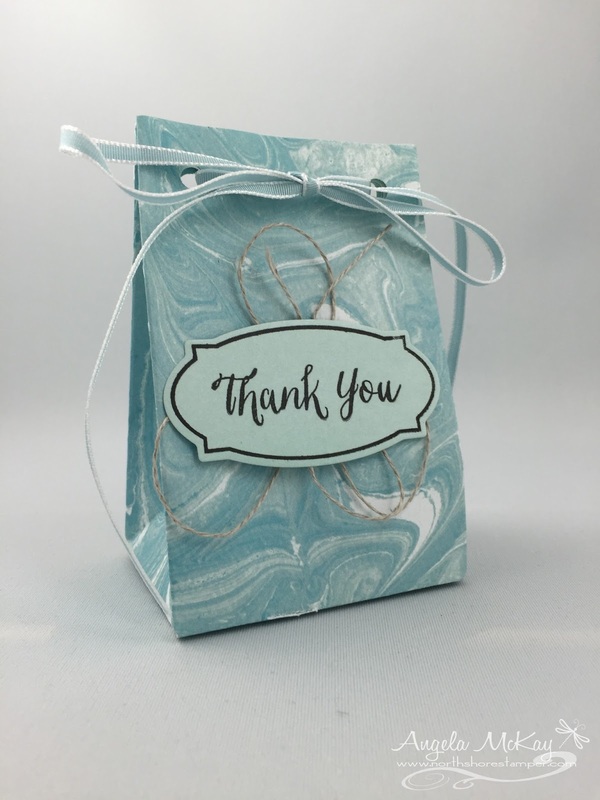 Check out the adorable gift bag that I got from one of my downline! I love Debbie's little gift bags... she always finds the greatest treats to put in them... this one had mint M&M's! DEADLY! This Sale-abration Designer Series Paper is soft, subtle, and stunning! 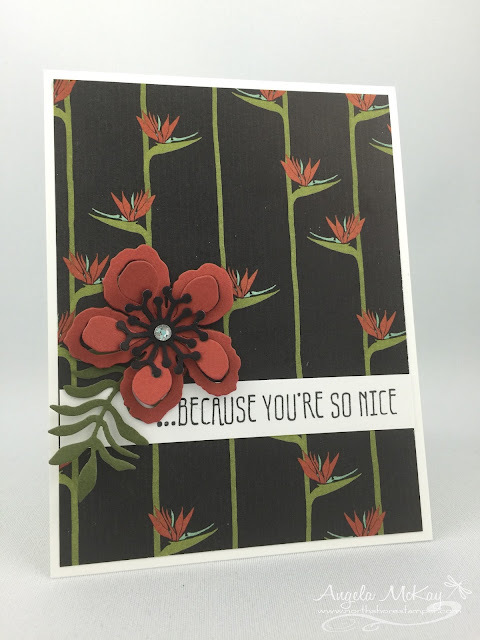 LOVE this one... just wish that I had photographed my second attempt at this card that I sent instead of my first attempt. 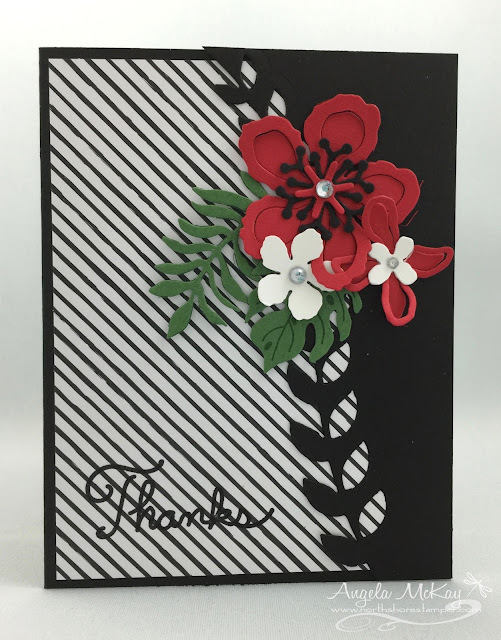 I forgot to use my embossing buddy on this one and I got all those little "cling-ons" around the Thanks! 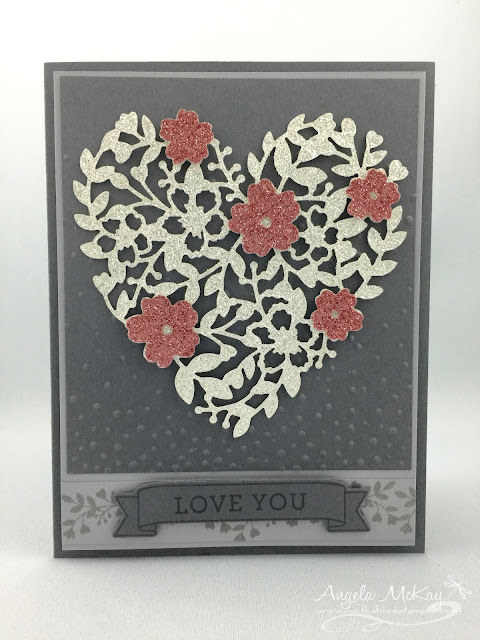 I used the Botanical Vellum from the Sale-abration freebies! Love it with the Sunburst Thinlit:) Grab this one now.. you won't be disappointed! 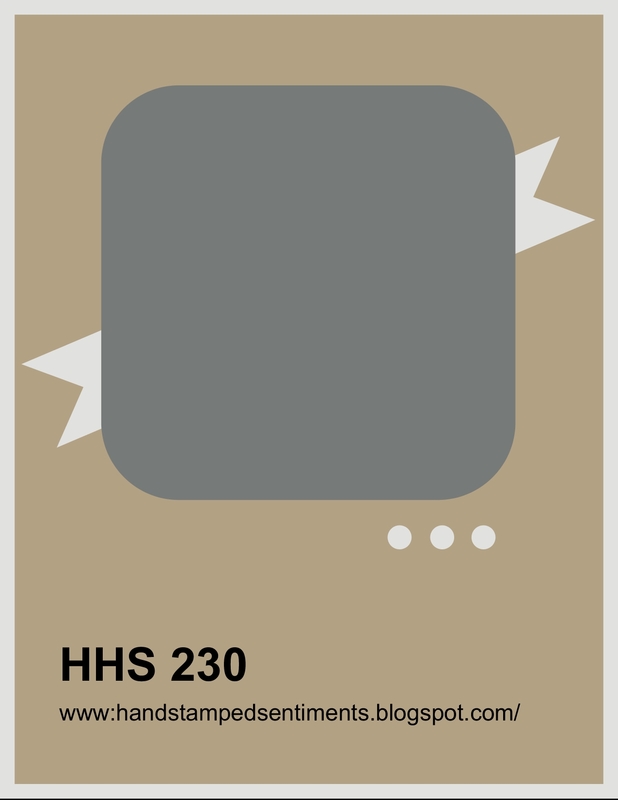 Keeping it simple this morning and focusing on that gorgeous Designer Series Paper! 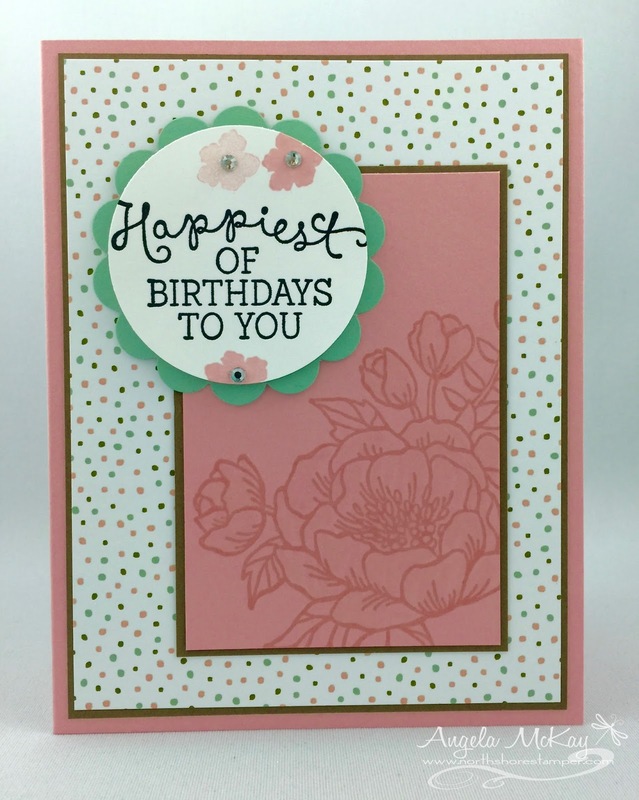 Birthday Bouquet has been my absolute FAVOURITE designer series paper from the Occasions catalogue that launched a couple of weeks ago... STUNNING! 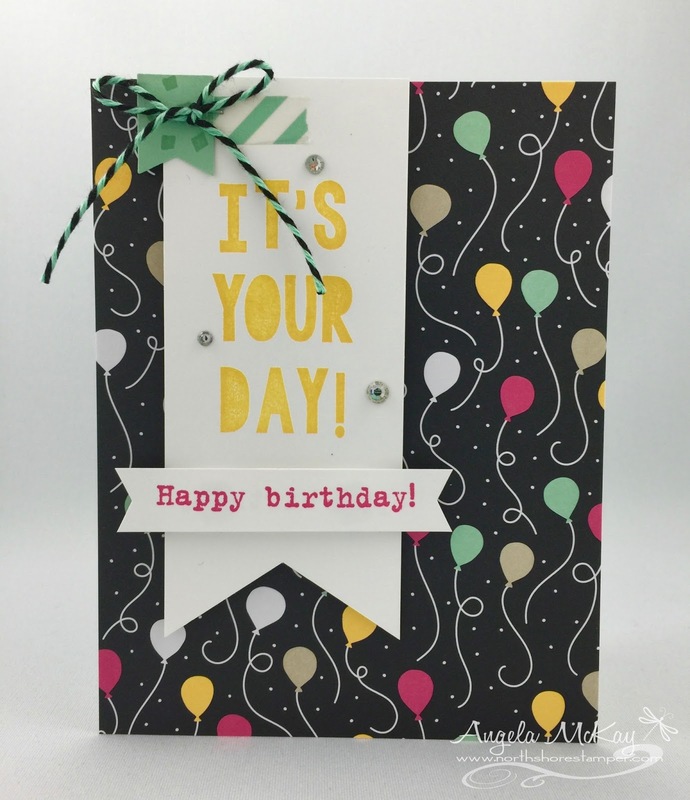 Love this card... CASEd it right out of the Occasions catalogue! 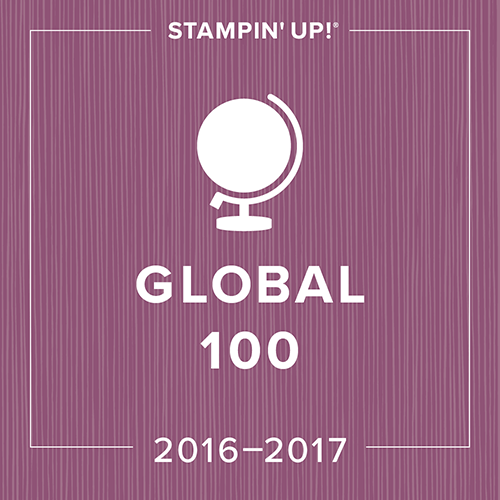 If you don't have yours yet and don't currently have a Stampin' Up demonstrator I'd love to send you one! Simply drop me a line! 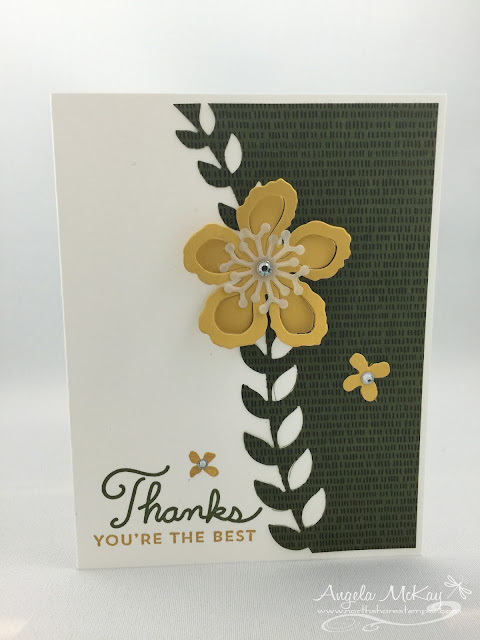 Stampin' Up ROCKED the coordination of this particular suite of products! Check out the amazing products listed below... put a few together to earn yourself a Sale-abration reward! Win Win!!!! 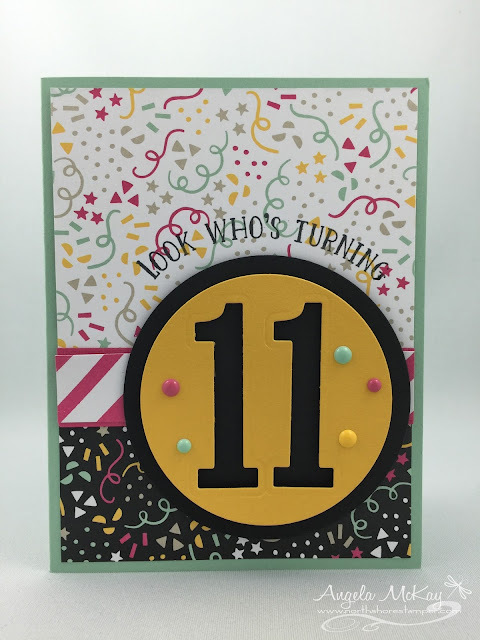 I have to admit that over the past year I'd avoided making birthday cards unless I absolutely had to as there weren't any birthday stamp sets that I was in LOVE with. With the launch of the new Occasions catty, I'm obsessed with making birthday cards... can't get enough of them! The great thing is I've actually been working my way through the year and getting done all the birthday cards that I've already got on the calendar as well as getting a few extras ready:) I had to cut that little candle out by hand, but that won't be for long! The Party Punch Pack is on the Weekly Deals list this week so I've already got mine on its way! 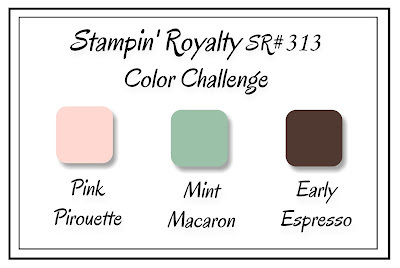 This week's Stampin' Royalty Challenge is a beautiful combination of colours... LOVE it! They are all part of the stunning Birthday Bouquet DSP as well which made it even easier. If you haven't got this DSP... put it on your list! STUNNNG! Make sure to head over to Stampin' Royalty and check out the other design team creations! I'm sure that you'll love them! The Occasions Catty is a PARTY!!!!!! 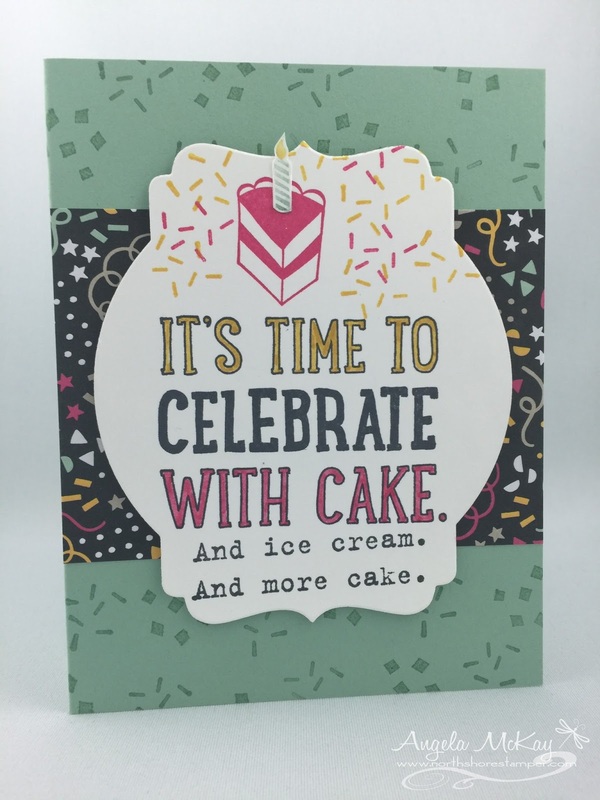 Okay... if you're going to get the Number of Years bundle then you've got to grab the It's My Party Designer Series Paper Stack to go with it!!!! Honestly, the designs are to die for and they just scream PARTY!!!! Check out those coordinating Enamel Dots too!!! 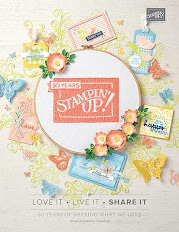 For those of you not familiar with Sale-abration, this is Stampin' Up's annual sale in which you can earn free items for every $60 you spend. They have put Paper Pumpkin 3 month subscriptions on sale for this event so in addition to the savings you'll also earn a free Sale-abration item! For those of you opting for a 12 month subscription you'll earn FOUR free Sale-abration items! I'll make it even more worth your while and offer you 20% off a 12 month and you'll still get to choose 4 free Sale-abration items! You can view the free Sale-abration items here! 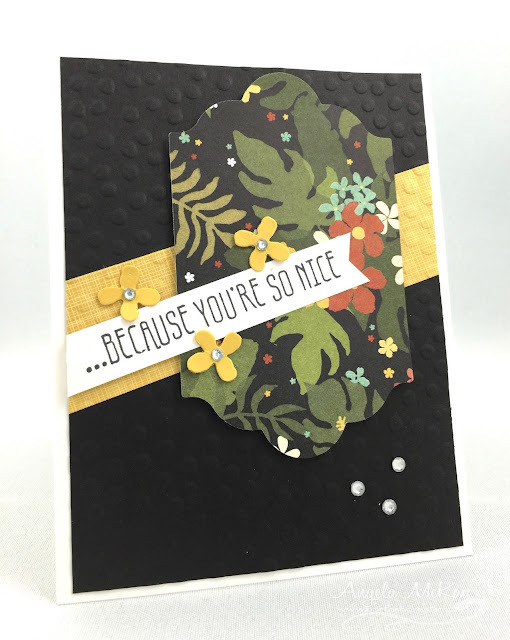 Botanical Gardens DSP (Designer Series Paper)... STRIKING!!!!! 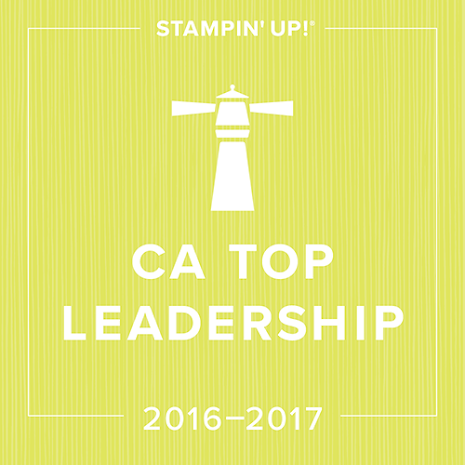 Once again, Stampin' Up hit the nail on the head with this bundle as well! 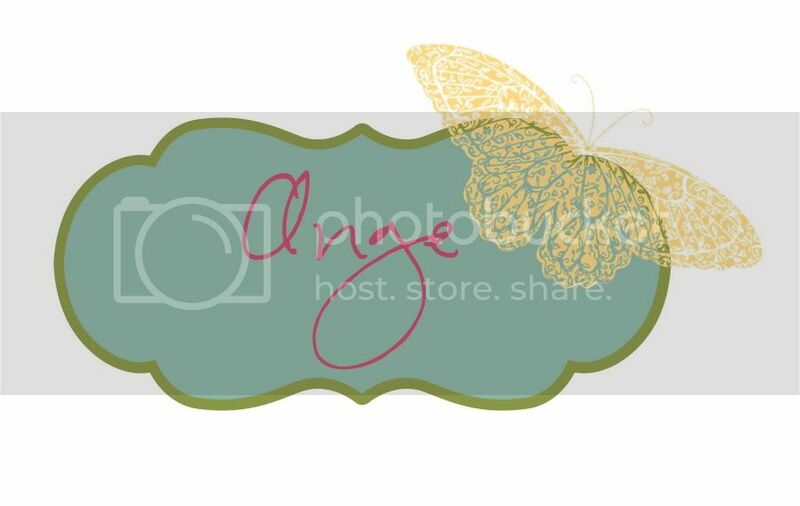 Check out the gorgeous framelits that are part of this bundle! Best part is that you get to earn the Botanicals For You stamp set free for Sale-abration! Bloomin' Hearts is Bloomin' Beautiful! 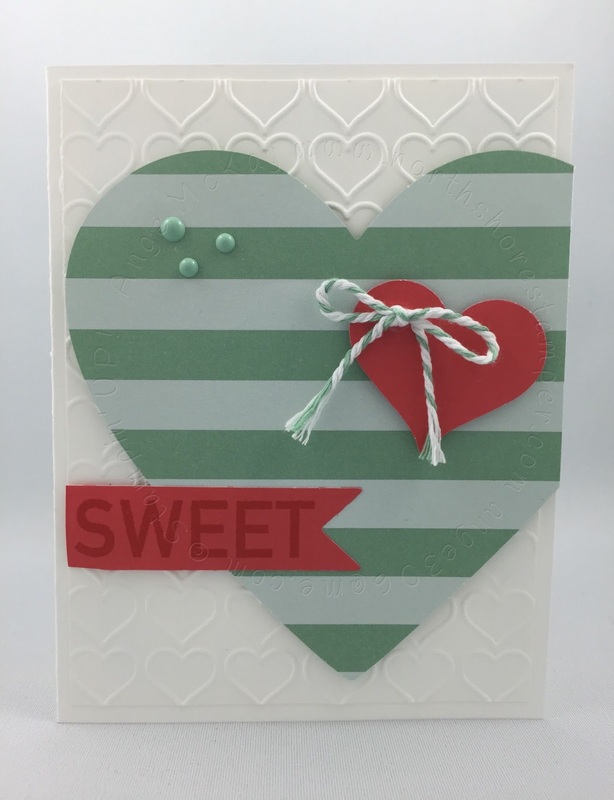 I'm so in love with all of these new products... Bloomin' Hearts is definitely one of my top choices and the fact that Stampin' Up is offering these bundles that are 15% off the price of buying items individually is HUGE! Add that to the fact that you're getting FREE Sale-abration products with every $60 purchased is AWESOME! 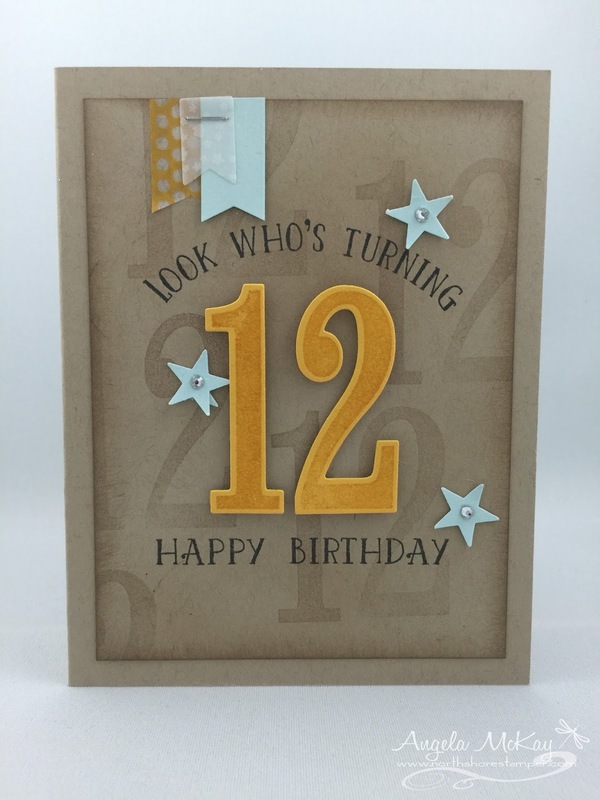 Did you notice that Softly Falling Textured Impressions Embossing Folder has carried over as well! 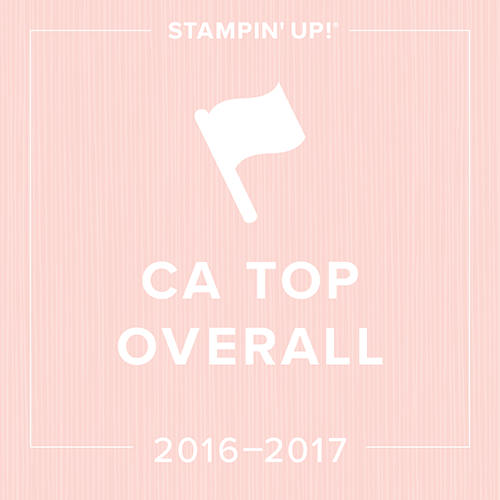 Did You Miss My Spring Fling 2016? Don't Worry! 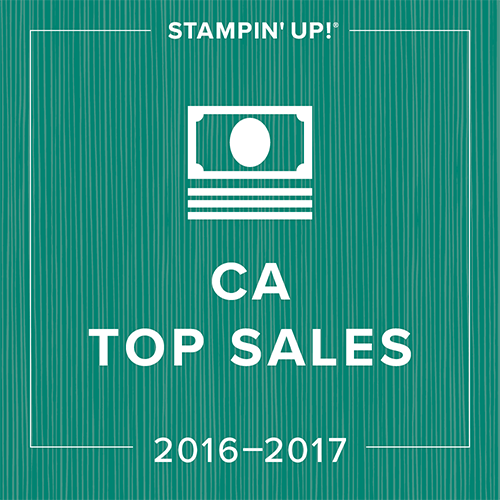 Occasions Catalogue Shares are Here! Here's the Newest Weekly Deals! Sale-abration and the Occasions Catty are Here!